Unfortunately, scams are a fact of life in the world of paid surveys. This guide will show you what to look for so you can avoid the most common paid survey scams and focus on legitimate programs that pay. 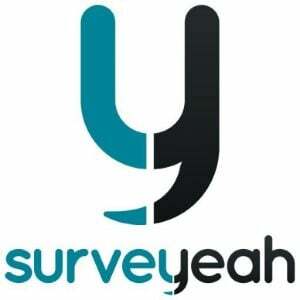 Paid surveys have become a popular way for regular people to make some extra cash online. 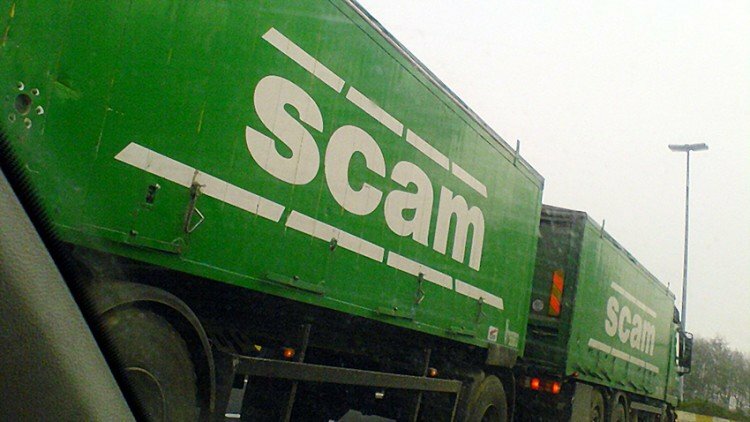 As with anything that becomes popular and involves money, you can bet the scammers and con-artists of the world will be hard at work trying to capitalize on it. If you want to make sure you don’t fall victim to these ruthless rapscallions, the best thing you can do is know their tricks. But what are those tricks? Glad you asked. To help you with your quest to gain the knowledge that you lack, we’ve put together this guide featuring seven tell-tale signs of a paid survey scam. It’s amazing just how crafty these scammers can be. Most paid survey programs entice you to join with the promise of a sign-up bonus or the chance to earn cash for sharing your opinion. And in most cases, if you see a $5 signup bonus, or the chance to earn a buck or two per survey, they’re not fooling you. However, if you see survey program offering big fat payouts like a $25 sign-up bonus, or $75 for a 10 minute survey, you should run to the hills. Chances are it’s nothing more than a big fat scam, or at best a sweepstakes you’ve got little chance of winning. While it is possible to find high-paying focus groups, these opportunities are rare and take way more than 10 minutes. If it seems too good to be true, it probably is. This one is pretty simple. You should never pay to take paid surveys. Legitimate market research companies pay you to participate, not the other way around. If you’re ever asked to pay, you are almost certainly being scammed. And don’t ever pay for a list of paid reputable survey programs either. These can easily be found online for free, including a few dozens of paid survey ratings and reviews right here at P$U. Please don’t just take our word for it. There are variety of trustworthy resources like Survey Police, Survey Chris, and /r/beermoney on reddit to help you find legit ways to earn. Legitimate market research companies have nothing to hide and want potential participants to know about their company. If you can’t find an “About Us” page with information about the company, consider that a serious warning sign of a scam. As the Internet continues to evolve, scammers get smarter and more creative, so keep your guard up. If you’re ever asked to provide your social security number, banking, or credit card info, there’s about a 100% chance it’s a scam. At the same time, it’s perfectly normal for legitimate survey programs to ask some fairly personal questions, so don’t be too cautious. Always be honest if you’re asked to disclose your gender, education, marital status, income and so on. In case you were wondering, survey programs use this information to ensure they’re sending you the most relevant surveys and help you avoid getting disqualified. Always do a bit of research before joining a paid survey program, starting with a simple Google search. After reading a handful of reviews to see what others have to say, you should have a pretty good sense of what they’re all about. Another great place to learn about paid survey programs is YouTube. In most cases, if the program is reputable, you’ll find people sharing videos with tales of their own success. And if it’s not reputable, you’ll discover that too. Just like everything you find online, you’ll want to take these reviews with a grain of salt. There are always going to be a few really negative and positive reviews. The truth is probably somewhere in between. If you join a paid survey program but you’re asked (or forced) to buy eBooks or join some sort of “make money from home” program, you should cancel your account immediately and start looking elsewhere. Remember, legitimate market research companies do not charge you money. In fact it should always be the other way around, where you get compensated for your time, and for sharing your opinion. On the flipside, you should also be on the lookout for programs that makes it seem like you’re an employee. If a website promises you a certain dollar figure weekly or monthly, they are not a legitimate paid survey site. While not totally a scam there are many companies out there that look like market research sites willing to pay you to sign up for a free trial for things like Netflix, Lifelock, and other similar products you may not even really want. The company gets a commission when you sign up and shares it with you, but the catch is you’ll have to sign up for the service with your own credit card in order to get paid. And naturally, they’re hoping you forget to cancel, so you end up paying them a monthly fee for a service you’re not even using. All that said, if there’s a service you’re considering signing up for anyway, you may be able to make a few bucks by signing up through one of these programs. Just be sure you read all the fine print. Hopefully all this talk of paid survey scams doesn’t scare you away from paid surveys as a whole. There are a few bad apples in every bunch, but if you trust your instincts and you should be fine. Common sense and a little bit of research are usually all it takes to avoid a scam. If you’re looking for a safe-haven you can always turn to our list of paid survey programs. The list features only legitimate programs that pay, plus there are a ton of useful tips and real reviews from people like you. Good luck, hope this helps you stay safe and earn more money.